Everyone seems to agree that taxes are, and I quote, “Just the worst.” But do they have to be? We have to file a tax return every year—surely there’s a way to make this a bit easier to deal with. 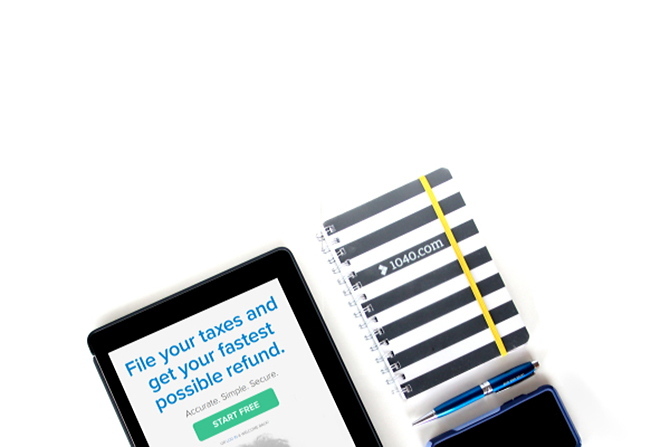 Using 1040.com to file your taxes is a great start, but there’s even more you can do to ease the load throughout the year. Now that you’ve finished your taxes (unless you filed an extension or are simply running behind), think of your return as a roadmap of your finances last year. The details behind how much money you earned, how much tax you paid, what you were able to deduct, and what you couldn’t are all fresh in your mind, so now’s the time to review and analyze. Maybe you started a side hustle that helped pay off your car, but then you got hit with an unexpected tax bill for that side-hustle income in the spring. Or maybe you forgot to adjust your withholdings after Junior was born. Comb through that tax return roadmap and identify what helped you and what hurt you in the previous year. Once you’re finished, you’re ready to start thinking big. Setting goals can be a game changer. When you filed your taxes this year, what sort of things did you wish you’d done? By the time you’re filing your tax return next year, what changes will you wish you’d made? Maybe your big goal is to get rid of debt. Maybe it’s to build wealth instead, or finally get that emergency fund established. Think ahead and you’ll be ready to gear up with an action plan. You’ve analyzed what worked or didn’t work for you last year and set some goals for this one; now it’s time to decide how you want to make those goals happen. Paid off your car last year? Keep the ball rolling and target your student loans, or switch gears and build some wealth by diversifying your income. Since you know what you want your tax return to look like next year, keeping all your goals close and your documents closer will make filing your taxes a breeze. Tax season won’t send you scrambling, because you’ll have an implemented game plan that keeps your info organized throughout the year. Best yet, returning 1040.com filers have even less to worry about, since we automatically pull relevant information from prior years when you log in. We’ll bring the guided walkthrough, you bring the game plan—and your taxes will be easier than ever before.